Are you a consignment, thrift, or resale shopkeeper? Wow! I can get Best Resale Email Subject Lines for FREE? will help you make your shop BE all you dream it CAN be! 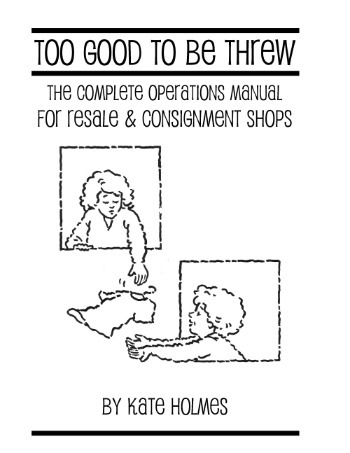 Too Good to be Threw: The Complete Operations Manual for Resale & Consignment Shops is the only complete manual written by an experienced shop owner. Perfect for those who want to open a consignment shop, start a resale store, or improve their shop. A consignment book you will rely on! Your shop already running smoothly? Your job can be easier, your clientele happier, and your wallet heftier. Want to know how to run a consignment or resale shop? Reach the success thousands of shopkeepers have with TGtbT. Our Manual is like Resale 101. Even more in the TGtbT Shop. All our Resources for you.